Navigating the divorce process can be incredibly trying and overwhelming, especially if you are doing so without experienced legal representation on your side. As we reviewed in a previous post, there are several reasons why it may be beneficial to have an attorney in your corner during a divorce. However, it can be challenging to know when you should hire one. If you are uncertain whether or not you need an attorney for your divorce case, then contact Tucson divorce lawyer John Dorris today to request a free consultation. Our team is happy to discuss the details of your case with you to determine how our firm can help you. 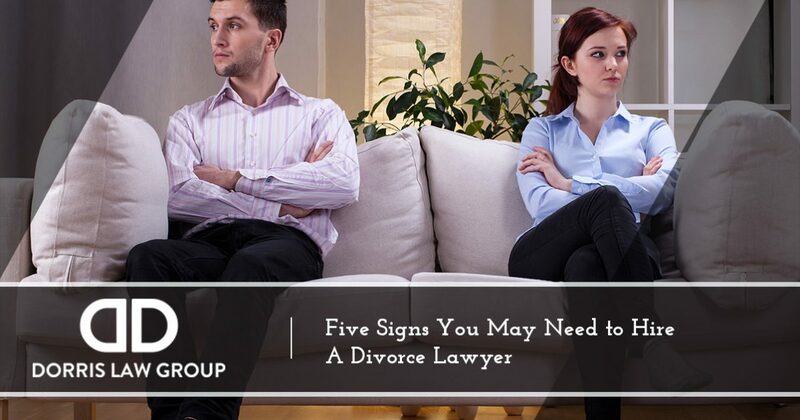 In the meantime, read on to discover five reasons why it may be beneficial to hire an experienced law firm to represent you during your divorce. Good communication is essential for ensuring your divorce goes as smoothly as possible. While some couples may be able to maintain open lines of communication during their divorce, others cannot. A divorce lawyer can help facilitate communication between you and your spouse, whether it is through a mediation session, or via your spouse’s attorney. Matters of child custody and child support can be some of the most emotional issues during a divorce, and commonly draw out the conclusion of your divorce if spouses can’t see eye to eye. Having qualified legal representation in your corner can help protect your parental rights and ensure your children’s best interests are kept at the forefront. Alimony, or spousal support, is not a given when you divorce your spouse in Arizona. The court will consider several factors to determine if you are eligible for spousal support once your divorce is final. An experienced divorce attorney will advocate on your behalf, providing the necessary documentation to the court to support your request for alimony. Homes, cars, and other types of property are common assets that must be divided when a couple divorces. However, jointly owned businesses, bank accounts, pensions, military benefits, and other assets may be more challenging to divide. A skilled divorce lawyer can assist with all matters of property division, no matter how simple or complex. A divorce case may start out to be fairly simple, but evolve into a more complex case as time goes on. 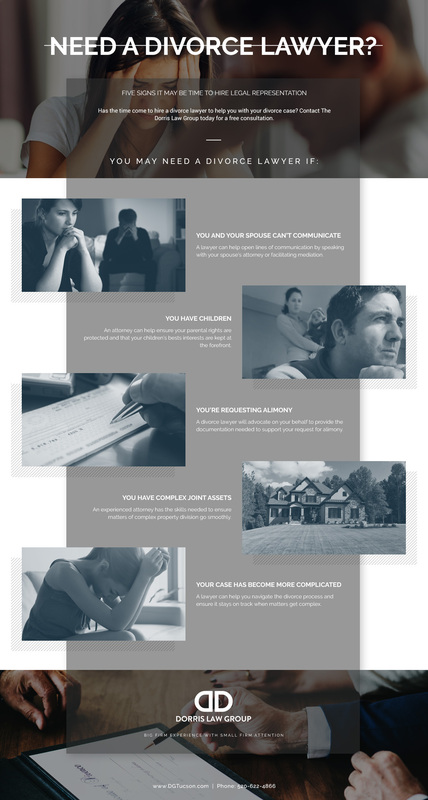 Whether it is due to you or your spouse having a change of heart on an important divorce-related issue, or one of you relocating to another state or country, a divorce attorney can help you navigate the changing landscape of the divorce process to ensure it stays on track. Obtaining the right legal advice and experienced representation can help ensure the best possible outcome for your divorce case, including matters of child custody, alimony, and complex property division. Tucson divorce lawyer John Dorris is here to provide you with qualified legal representation when you need it most. Call our family law firm at 520-622-4866 today to learn more about our legal services, or request your free consultation online now.